15 minutes play...BumbleBeans Inc.: any help please. Thanks Siobhan and LYNN! for your Anvil blocks! quilts I make and give as people when I hear someone is affected by cancer. Are you willing to send me a block or two? 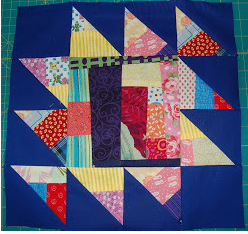 I keep these blocks on hand, so when I hear of someone else with cancer, I make them a quilt ASAP. I am using up the last of the last "call for help" blocks now. If you can help, info follows. 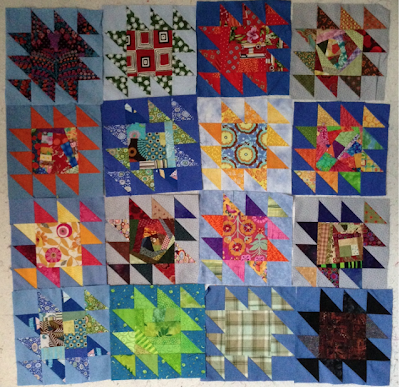 There is no deadline, I keep these blocks specifically for these quilts. This is the final set of blocks I had from the last call for help. Thank you to all who have contributed blocks. Time to make more quilts! Sounds like fun and easy! I will send you one or two. Please let me know where to send them. ...have just finished a block for you and will pop it in the mail today.